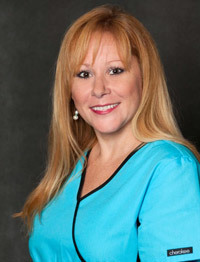 Lisa Fernandez is an Associate Professor of Nursing at SCCC. She is a lecturer, clinical instructor and course coordinator for Maternal/Child Health Nursing. She is also a lecturer, lab instructor and course coordinator for Health Assessment. Her diverse responsibilities in the Nursing Department make it possible for me to meet and interact with many students from both classes - which is probably her favorite aspect of her job. The National League of Nursing (NLN) 2016 Summit choose priority goals annually to enhance and improve excellence among our most noble profession. This years’ topic was a global focus-the theme focusing “Beyond Borders”. The NLN promotes excellence in nursing education to build a strong and diverse nursing workforce to advance the health of our nation and the global community. Culture is and has always been a dynamic and relevant virtue to the healthcare delivery system more than ever in the current worldwide milieu taking into consideration the political and economic issues that cannot be ignored. The International Council of Nurses (ICN) collaborated with the NLN to establish the ICNEN-a forum to address nursing education worldwide which was launched in Durban, South Africa in July 2009. It is an innate characteristic among nursing as profession to ultimately become paradigm shifters with common ideas as we continuously evolve. In 2006, I was invited to join Hope for a Healthier Humanity, an NGO affiliated with Catholic charities of Central and Caribbean America. I was chosen through a data base of bilingual ob/gyn nurse practitioners to volunteer some time to visit El Salvador to teach, evaluate and focusing on imparting health information to “promoters”, members of local churches who can learn how to deal with health needs as medical care is sparse if non-existent. The main focus was to investigate and evaluate why maternal/infant mortality and morbidity was so prevalent. What was to turn out to be a one-time trip, converted into becoming curriculum director and consultant for Central American countries, El Salvador, Honduras over 10 times, Panama and the Dominican Republic for seven years while working at the college. After constant refining of curriculums according to needs of each country, creating practical physical exam elements for practice, climbing mountains with minimal equipment and assessing the best I could as I shared the information. Higher the mountains, the more deplorable conditions are, no sanitation, no soil to grow vegetation only ash from the fires that burns garbage and so many other things too awful to mention. I met with archbishops and cardinals to try to make sense of all the violence and unending poverty. I had traveled once or twice with colleagues from other colleges but I realized, I should not be creating nor viewing these experiences alone. I asked my Dean of Nursing, the CEO Mary Sedutto of HHH and Dean of International Studies if I could bring graduates on these medical missions to be witness and learn that there is so much happening behind their backyards. I began to create live footage with each trip as my students quickly learned the curriculum and taught objectives. G K Rikabi has three years of experience in Teaching in Family Nurse Practitioner program with a focus on Collaborative Instructions. She also teaches joint injections. She has over nine years of experience as a Family Nurse Practitioner with a focus on “Occupational medicine, HIV, women’s health and orthopedic”. She completed her Doctoral Degree in 2013, with a research focus on Patient-Centered Care. She is currently an Assistant Professor at University of Southern Mississippi. Her research experience includes “HIV, dyslipidemia and healthcare professionals practice with multicultural patients”. Background & Aim: Untreated dyslipidemia, which is a risk factor for cardiac illnesses, is a burden on individual of state and national levels due to morbidity, mortality and coronary heart disease-related costs. Implementation of patient-centered educational program improves patients’ care and health outcomes. Purpose of this study is to increase adherence to lifestyle modifications among patients with dyslipidemia. Method: 17 subjects with dyslipidemia participated in a quasi-experimental pilot project. Qualitative and quantitative methodology was used. Measures were heart disease fact questionnaire, Framingham tool, and physiologic measurements. Interventions included motivational techniques-led individual and group interviews to explore patient-centered barriers and to discover strategies to adhere to lifestyle changes. Conclusion: Patient-centered interventions to discover patients’ barriers and strategies to adhere to lifestyle modifications through motivational interviewing effect have increased patient knowledge on risks and prevention of coronary heart disease and enhanced adherence to lifestyle modifications. Implication to Practice: The system change highlights the uniqueness of each person that require patient-centeredness and continuity of care to improve health outcomes. Introduction: patient safety and the incorporation of technologies are priority agendas for health services. In this context, nurses must develop knowledge and skills in order to evaluate the use of technologies and incorporate them into the daily routine, prioritizing aspects related to patient safety, effectiveness, cost-effectiveness, social impact and ethical aspects involved. Objective: to report the experience of the construction of a software in the area of ​​clinical oncology. Material and Methods: study of technological development, with the production of a software for guidelines on the treatment and care of the cancer patient. In the construction of the software was used the object-oriented methodology and the steps of the construction of the application followed the Scrum tool. Results: the software allows the follow-up and evolution of the clinical treatment of cancer patients, mainly in the chemotherapy process. In addition, it provides information and enables real-time interactivity with the multiprofessional team. The system helps the team to plan their interventions in an individualized and safe way to the patient. Conclusion: the development of this software contributed to accompany the assistance, allowing greater interaction between the patient and the team. The benefits provided by technological advances, especially softwares, in the treatment of oncology, in the sense of developing and making available new arsenals, bringing optimistic perspectives to the treatment. Contributions / Implications for Patient Safety: In brief, software building helps care for cancer patients. The use of technologies has an impact on care, as it contributes to the organization of the work process and brings the patient and the family closer to care. The software is a tool that can reduce the adverse events contributing in the dissemination of the culture of patient safety, since it corroborates with the best practices in clinical oncology.